Yesterday, the Cal State Fullerton Athletic Department announced the official Cal State Fullerton Baseball Roster that will take the field in 2019. 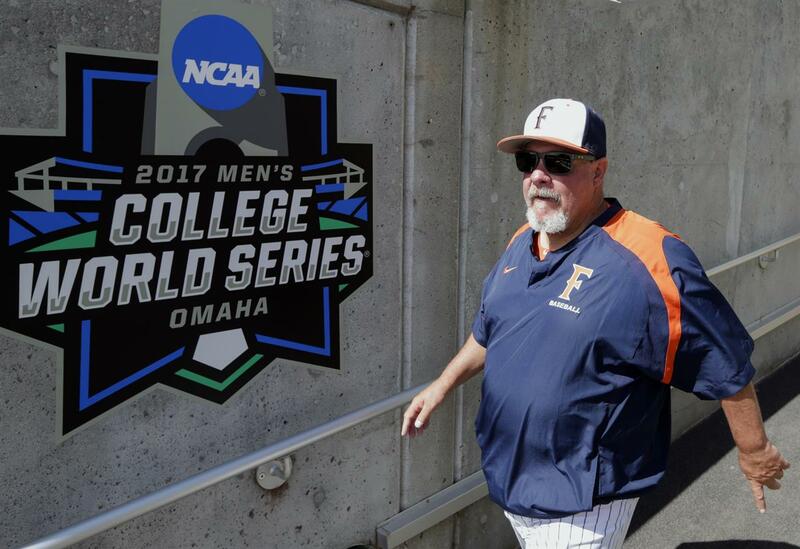 35 players consisting of 20 position players and 15 pitchers will wear the Fullerton “F” in 2019 with expectations set on visiting Omaha in June. Of the 20 position players, The Titans will field 13 right handed batters, five left handed batters and one switch hitter. On the mound, the Titans will throw 11 right handers and four southpaws. Here is the 2019 Cal State Fullerton Baseball Roster in numerical order. The player’s number, name, position, batting/throwing preference, height, weight, experience level, hometown and last school attended are all listed. The players name links to their official bio on the Cal State Fullerton Athletics website. Of the four players not on the 2019 spring roster but were on the fall ball and alumni game roster, all four were players who played with the 2018 squad. Those players from the 2018 team not on the 2019 team are Cody Minnis, Zach Weisz, Nick Ciandro and Brandon Moore. Brandon Moore, a right handed pitcher was a JC transfer out of Rio Hondo Junior College last season. He did not see any game action last season. Unfortunately he struggled with injuries for most of his time on campus. Nick Ciandro turned down a scholarship offer from Cal State Bakersfield to walk-on at Fullerton last season. Ciandro played sparingly in 2018 with only 13 plate appearances and 11 official at-bats. Ciandro not making the 2019 squad looks to be a combination of lack of performance and a number of talented players in front of him. We envision Ciandro sticking with the program as a bullpen catcher/team manager role like Brian DeJesse did last year. Daniel Cope is a legitimate Johnny Bench candidate and will be the main starting catcher for the 2019 Titans. Kameron Guangorena is a star in the making and looks to make spot starts behind the plate mid-week to keep his catching skills sharp and give Cope a break. Korrey Siracusa is a freshman who is next in line for the catching spot but could possibly redshirt to save some eligibility with two studs getting the lion’s share of the work behind the plate. Ciandro would see no playing time with those three in front of him and the team can not afford to carry four catchers on a team of 35 players. 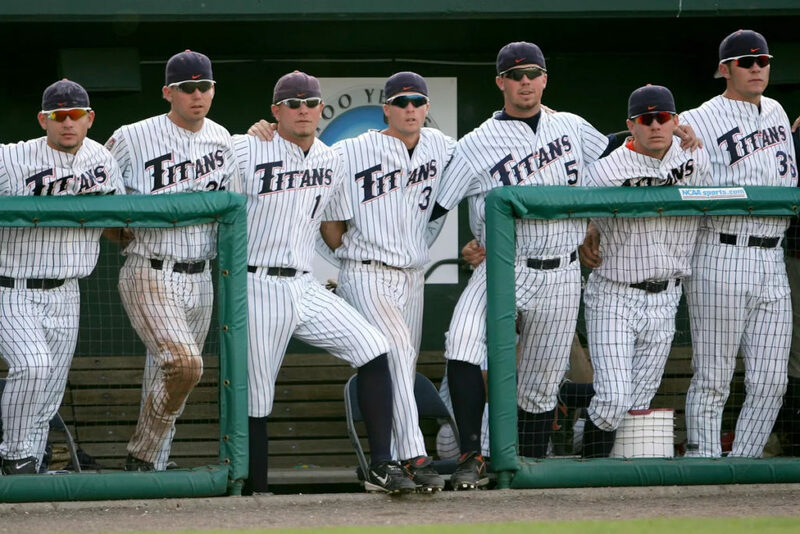 Outfielders Cody Minnis and Zach Weisz not making the 2019 Titan Baseball roster look to be victims of too much depth at their position. Richards, Landon, Jordy and Berryhill return plus the talented freshmen/JC transfers of Brandow, Lyon, Cadd, Pelligrino and Garcia makes for a crowded outfield. First baseman AJ Curtis could play outfield in a pinch if needed. Since the DH position will not be an outfielder, going three deep at outfield seems like standard operating procedure given the depth and talent at that position. Both Weisz and Minnis played in spot duty in 2018, normally as pinch hitters and pinch runners. Minnis seemed like he was the designated runner for Jace “Jumbo” Chamberlin anytime he pinch hit and got on base. And with Jumbo playing JC ball in Arizona now because of academic issues, Minnis looks to have lost his role. Weisz is the biggest surprise in that he has been on the squad two years running and was on the 2017 Omaha squad. Weisz played in 33 games with 36 at-bats in 2018. His .139 average was not much to get excited about and apparently the coaches felt there were better outfielders to choose from in 2019. We wish all four the best of luck wherever they choose to pursue their collegiate baseball careers. Just a few thoughts on some of the players that made the 35 man roster for the 2019 Cal State Fullerton squad. Zach Lew – Second baseman of the future. He is fortunate he will get to play behind veteran Hank LoForte for a year and Lew will provide much needed middle-infield depth. Brett Borgogno – Starting third base. Something clicked for Borgogno middle of last season and the game really seemed to slow down for him. He could be a very nice surprise with his jump in progression. Was playing some shortstop to help fortify depth up the middle. 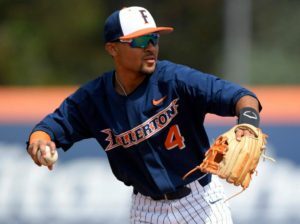 Sahid Valenzuela – Since coming in as a freshman, many knew Sahid would be a three-year player at Fullerton. 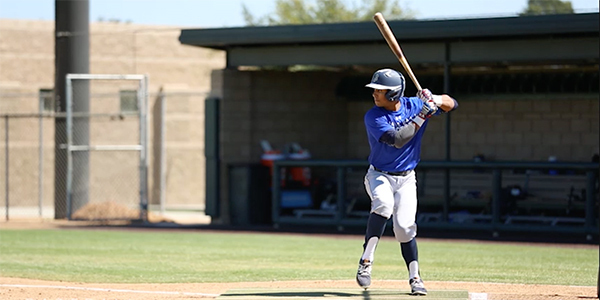 After a good summer playing against the best in college baseball out in the Cape Cod League, Valenzuela is looking to have the junior year the scouts are looking for. A team player if you have ever seen one, Sahid is projected to get drafted somewhere between the 11th – 20th rounds in the MLB draft. 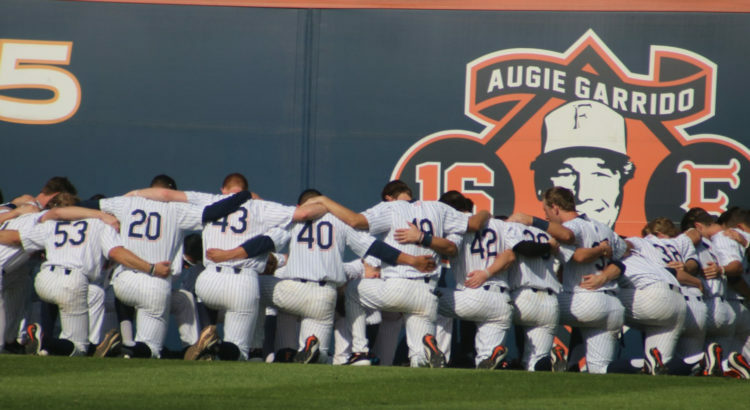 AJ Curtis – JC transfer with some pop in his bat had a hand injury most of the fall that hampered his ability to get quality reps. Do not be surprised if Curtis challenges incumbent Jake Pavletich for the regular job at first. Mitchell Berryhill – Speed for days and a competitive fire return with Berryhill for his senior season. He looks to keep the center field position to start the season. 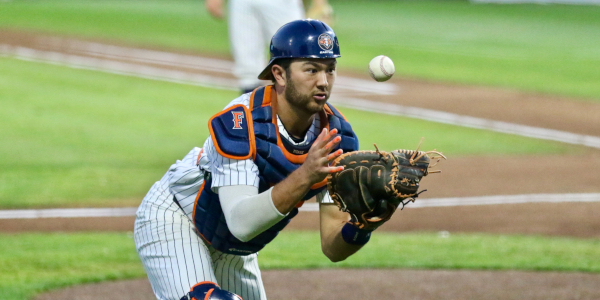 Korrey Siracusa – This freshman from Hawaii has many fans excited due to the easy comparisons to a former Titans catcher from Hawaii, Kurt Suzuki. (They even have the same initials.) Siracusa could redshirt in 2019 because with Cope and Guangorena projected in front of him, saving a year of eligibility might be in his best interest. 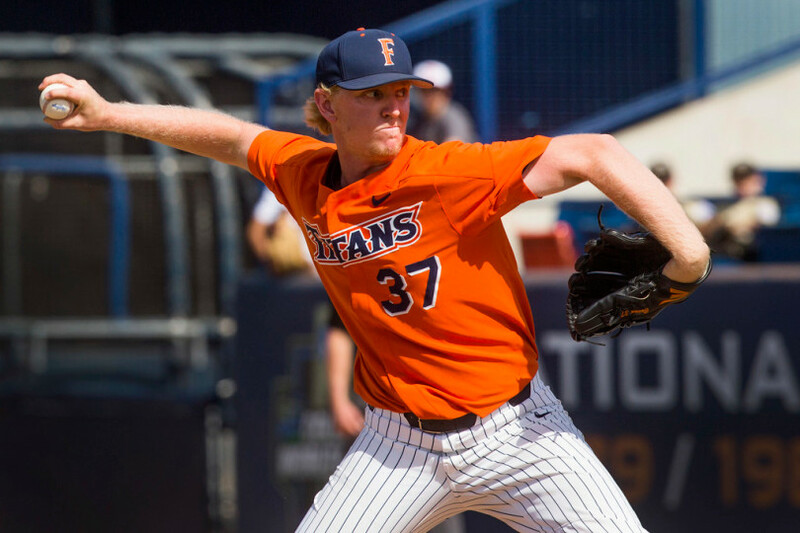 Hank LoForte – Hanky Panky returns for his senior season at Fullerton after going undrafted in 2018. LoForte led the 2018 Titans in batting .339 and came up with numerous clutch hits all season. Despite his small stature (which probably scared off Major League clubs from drafting him), LoForte hit two home runs, including a solo blast vs. Washington in Game 3 of the Super Regionals. His on-base percentage flirted around .400 (.397) and he slugged .445 in 2018. His senior leadership will be leaned on heavily in 2019. Hopefully not getting drafted will be the motivation for LoForte to improve his slash line even more in 2019. Daniel Cope – Sad to say but you better appreciate Cope’s play this season because he will likely get drafted high enough to sign this summer. Playing the lion’s share of 2018 behind the plate during weekend series and getting limited relief during non-conference mid-week games, Cope is poised for another season that can propel him into the MLB draft as a junior. Cope batted .280 in 225 at-bats, fourth on the team, and hit five home runs to lead the team. His .992 fielding percentage demonstrated that his defense behind the plate was quite good as well. He was also behind the plate when Colton Eastman threw his no-no vs. UC Santa Barbara. Cope was on the Johnny Bench Award watch list last season and many expect him to start the season there as well. Timothy Josten – Lock Josten in at the Saturday night starter role. Trusted to start the Alumni game for the current Titans, Josten responded nicely and looks poised for a heavy workload in 2019. If the Titans make a run at Omaha, Josten will be a big reason why. Evan Larsen – The closer role vacated by Brett Connine after getting drafted last season appears to be Larsen’s. He is coming off of Tommy John surgery and has not thrown for two years now. 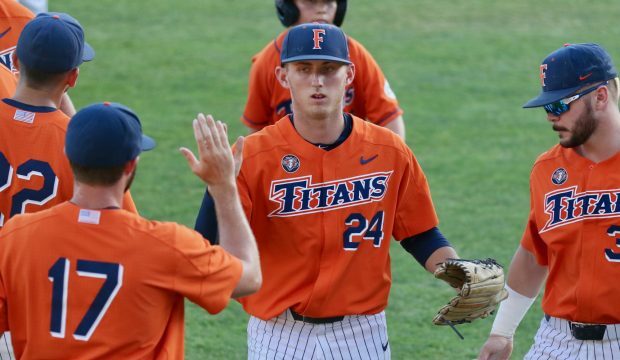 Despite the time off, Larsen has shown the stuff that caught the eyes of the coaching staff and reminded them why they brought him to Fullerton. Michael Knorr – After seeing Knorr throw in the alumni game, we are calling it he will be the Sunday starter. Although handing the ball to a freshman on Sundays can make you a little nervous, the track record backs up the decision. Colton Eastman was the Sunday starter as a freshman and Thomas Eshelman and Justin Garza were given weekend starting roles as freshmen as well. Kameron Guangorena – You want to catch a rising star? Come out to see this guy play. A shoe-in for the DH spot, it’s only because the guy in front of him playing catcher is a legitimate Johnny Bench Award candidate. Not bad to learn the speed of the game, how to call a game from one of the best who happens to be your teammate. Jacob Pavletich – The gray beard of the group, Pav returns for his Super Senior season after participating in Senior Night last season. The sting of missing Omaha by three outs was too much and Pav has chose to come back. His leadership and experience will be leaned on heavily even if his playing time is cut into by Curtis. Tanner Bibee – Friday night starter. No need to look any further than the third game at the Stanford Regional when he struck out 11, propelling the Titans to host the Super Regionals. Bibee appears to be that Friday night ace that will be leaned on heavily to get the Titans off to a good start every weekend series. Joe Magrisi – An eventual starter, Magrisi could see his starts come mid-week or to eat a lot of innings out of the bullpen. If Knorr stumbles early, Magrisi is poised to take over that Sunday starter role. Jackson Lyon and Jason Brandow – Both showed a lot of talent during the alumni game. Don’t be surprised if either of these freshmen start in a corner outfield spot. Jairus Richards and Jordan Hernandez – Veteran outfielders coming back for a senior season, you can bet both will push hard to earn the starting spot in the corner outfield spots. Dillon Brown – Mr. Dependable out of the bullpen, Dillon Brown should see some starting time mid-week much like Koby Gauna did a few years ago. A solid middle innings eater and a mid-week starter make Brown perfect for that bullpen depth that seems to be lacking in college baseball. Gavin Velasquez After missing time with injury, Velasquez should be ready for an increased role. He did pitch in Omaha in 2017 which will be helpful experience for the younger guys for him to mentor. Zach Weller – Will provide added depth in the infield. Will need to increase his production at the plate to gain more playing time. Damon Treadwell, Titus Groeneweg and Michael Weisberg – Big guys down there in the bullpen just chomping at the bit waiting to get in the game. Should provide solid relief if any of the starters get in trouble. A mix of lefties and righties gives Hook and Rousey match-up options later in games. The road to Omaha starts February 15th in Arizona. The Titans join Virginia, TCU and Vanderbilt in the MLB4 Collegiate Baseball Tournament at Salt River Fields at Talking Stick. The Titans open the tournament at 1 pm vs. TCU on Friday, February 15, 2019.